Noise exposure is a leading cause of hearing loss. It usually develops gradually, and may go unnoticed until it has progressed to a point where treatment options are limited. There are steps you can take now to prevent hearing loss down the road. 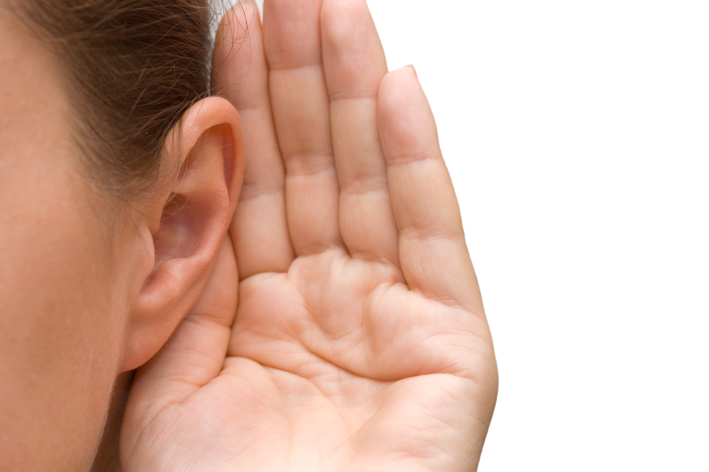 Some types of hearing loss are unavoidable. That which occurs with aging (presbycusis) can’t be halted, but regular hearing tests can detect problems early. Noise-induced hearing loss, on the other hand, is usually preventable. Exposure to excessive noise damages the hair cells of the inner ear, causing permanent hearing loss. Usually this occurs over time, but the noise from a sudden lout gunshot may be enough to cause immediate, irreversible hearing damage. More often, repeated exposure to noise in occupational and recreational settings leads to gradual hearing loss. Sources include machinery, power tools, music concerts, sporting events, firearms, fireworks, motorcycles, boats and snowmobiles. Signs to watch out for include a ringing in the ears known as tinnitus, speech that appears muffled or difficult to understand and the feeling of fullness in the ears. Protecting your ears is the key to hearing loss prevention. If your job exposes you to hazardous noises, make sure proper safety equipment that meets state and federal regulations is provideds. It’s always a good idea to bring along earplugs if you’re participating in a noisy recreational activity (e.g,. football game or rock concert), as well. At home, limit your exposure to noisy activities, and keep the volume down – on the television, stereo and personal listening devices like MP3 players. Prevent other types of hearing loss by refraining from inserting cotton swabs or other objects into your ears and blowing your nose gently through both nostrils. Stop smoking; studies show those who use tobacco are more likely to suffer from hearing loss.